The Mellos Group is a multigenerational wealth management practice with over three decades of experience providing advice to affluent investors. The Mellos Group at Morgan Stanley is a multigenerational wealth management practice with over three decades of experience providing advice to affluent investors. Our team is firmly committed to delivering an exceptional level of service by engaging in continuous dialogue and education to best understand client objectives and to help improve decision making. Clients are charged one all-inclusive fee for investment management and advice based on a percentage of assets managed. There are no hidden fees and no trade commissions. The Mellos Group works with teams in both the Private Wealth Management and Greystone Institutional Consulting divisions of Morgan Stanley when appropriate. Please contact us to learn more about how we work with our clients. Faye has enjoyed helping individuals and families make informed decisions related to their financial well-being for over 38 years. By tapping the breadth of her experience in the financial services field she provides an active level of service customized for each client to help them achieve their financial goals. Faye helps each of her clients achieve their financial aspirations by working with clients and their families with a primary focus of maximizing tax efficiency, wealth preservation and developing next generation plans. It is this holistic approach that helps clients to understand the intricacies of investing and estate planning. Many of her clients are women and she enjoys the opportunity to help them address their unique issues and help assure their financial security now and in retirement. Faye is an active member of the community and serves on the Executive Board of "That Man May See", the fund raising arm of the UCSF Department of Ophthalmology. In addition she is a 30+ year member of Zonta International, and worldwide service club with the sole focus of advancing the status of women. 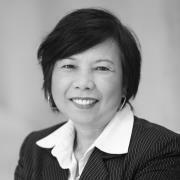 She is a board member of the Friends of the Commission on the Status of Women, San Francisco. The use of the CDFA® designation does not permit the rendering of legal advice by Morgan Stanley or its Financial Advisors which may only be done by a licensed attorney. The CDFA® designation is not intended to imply that either Morgan Stanley or its Financial Advisors are acting as experts in this field. 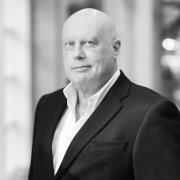 For over thirty years Philip has worked with investors to help grow and preserve their wealth using a multitude of financial strategies. He is passionate about working with clients to help minimize the stress of managing their finances and allow them to enjoy the important things in life. After completing a tour of duty in the early seventies with the US Army in Germany, Philip attended the University of North Dakota. His financial career began at EF Hutton and Co. in 1979 helping clients meet their financial goals. Over the years Philip has also developed an extensive banking and lending expertise that has included a position as Wachovia Bank’s Regional Banking Consultant for Southern California. He joined the present day Morgan Stanley initially in 1999 and works currently with The Mellos Group utilizing Morgan Stanley Wealth Management’s extensive intellectual capital and wide range of services tailored to benefit affluent families and investors. As a member of The Mellos Group at Morgan Stanley, Philip’s activities are client relationship centered with a focus on asset management strategies, risk management and investment capabilities customized for each client. Philip also provides his clients with access to banking and lending services. 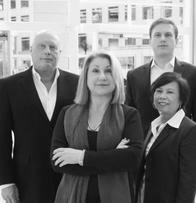 The Mellos Group reflects his strong belief in the power of the collaborative process. Each member of the group brings exceptional knowledge and experience that helps craft the best possible results for their clients. Philip’s wide ranging business background has also included ownership for several decades of a diversified grain operation and cattle ranch in North Dakota. Philip is a member of Delta Tau Delta Fraternity. Ellen provides professional and comprehensive administrative, sales and operational support to the Mellos Group and client services. Her goal every day is to give the best customer service to her team and the Mellos Group clients. 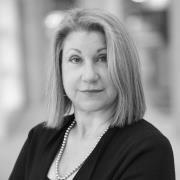 Prior to joining the Mellos group in San Francisco, she brought with her a wealth of experience of 30 plus years as a Registered Service Associate from Morgan Stanley Smith Barney in Berkeley, California and as a Wire Operator at Merrill Lynch and Bateman Eichler. She received an associate degree in Business Administration, holds a Series 7 and 63 Licenses and continues to receive on-going training to keep up with current trends and technology, laws and SEC regulations. Ellen loves adventure and enjoys traveling with her friends and family. She has traveled to many countries around the world and enjoys good wine and good food. One of her hobbies is to shop for her beautiful granddaughter, Lainy. She is also a philanthropist at heart and has gone to many mission trips in the Philippines and in South Africa. Ready to start a conversation? Contact The Mellos Group today.